Planning for the Pope in Panama! Young Dubliners inspired by Pope Francis are being invited not just to come to see him in the city this summer, but to join in a pilgrimage to Panama next year for World Youth Day. World Youth Day is an international Church event, similar to the World Meeting of Families, which is focussed on young people. 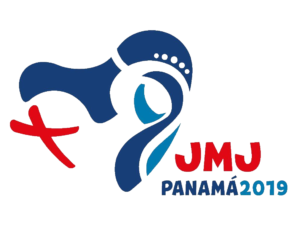 It is held in a different country every three years and takes place in Panama for 2019. Pope Francis is expected to travel for the first time to Panama to engage with young people there, and the Archdiocese of Dublin is planning to take a group. From today, Tuesday, the Diocesan Office for Evangelisation & Ecumenism is inviting parishes, parish groups and deanery areas to nominate young people who might be interested in travelling on this inspirational pilgrimage. Unfortunately, due to the distance involved, places are limited to 30 pilgrims. The travel dates are 18-30 January 2019. Deposits and bookings can be made online and the cost of the trip can be covered by scheduled payments.